Whether it’s Mr Slow or the corner cutter, there’s always a pony or two at the riding school who you dread being presented with at the start of your lesson. Mastering ponies with different personalities can be tricky, especially if you haven’t been riding very long. 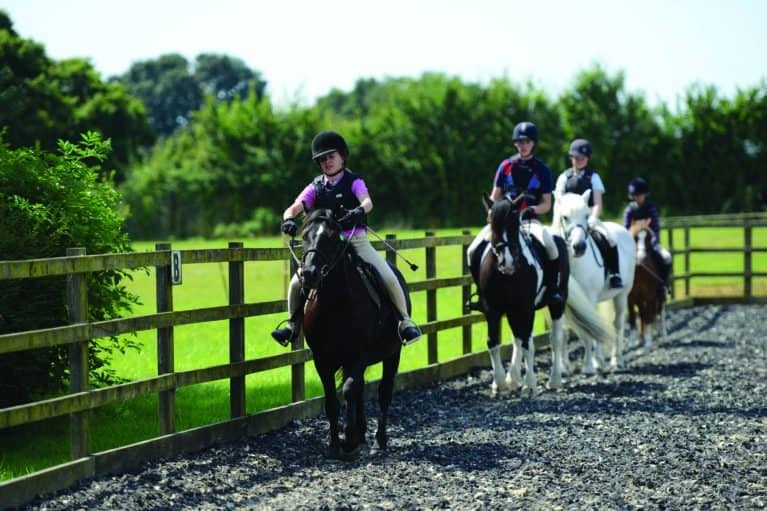 Check out our top tips and advice for getting the most out of all types of riding school ponies, and boosting your riding skills, too! This pony loves to go everywhere at top speed! He can go from halt to canter in the blink of an eye. You’ll often find him at the front of the ride with the others struggling to keep up. Do a few half-halts to balance him and encourage him to slow down. If he doesn’t listen, turn a circle, or ask him to halt then walk on again. 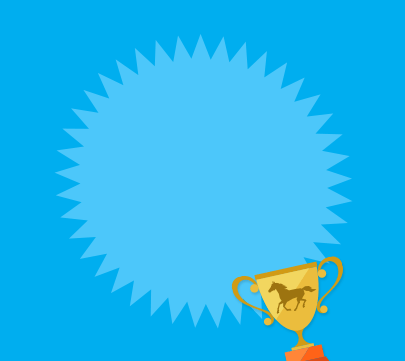 In trot, remember that the speed of your rising influences the speed of his trot, so concentrate on rising steadily in an even rhythm and he’ll adjust his trot. Try not to let him rush off into canter. 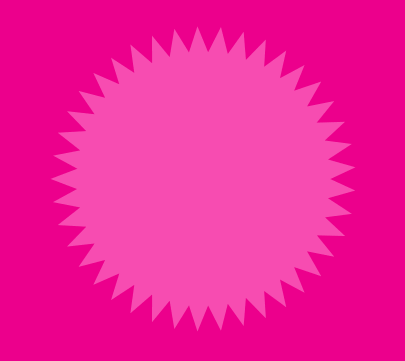 Prepare for your transition and give your aids calmly and quietly, using half-halts if you need to. Top tip! 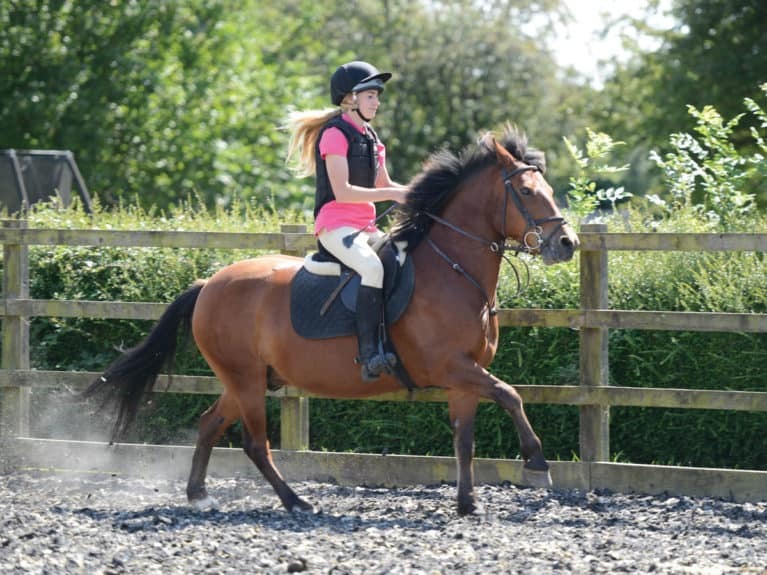 Sit up tall with your shoulders back and your heels down- this will stop you leaning back and pulling your reins or tilting forwards, which will only make him go faster! He loves being with his mates – so much so that he doesn’t want to leave them! Even if you’re not in a lesson with other ponies, you can guarantee that he’ll head towards the arena gate at every opportunity in a bid to get back to them. You’ll find him following his best pony mate and throwing a strop when you ask him to go elsewhere. When you get to the front of the ride and it’s your turn to canter, that’s when you hit a problem with the clingy pony. 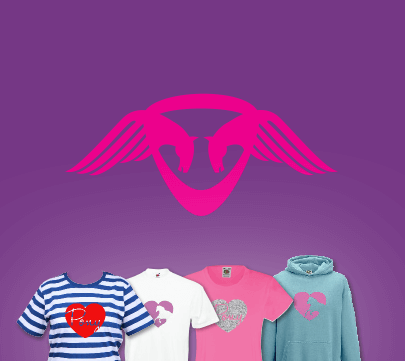 Think positive – you can get him to go where you want him to. Squeeze with your legs and keep your hands an even distance apart if he starts to nap, as opening them will only encourage him to move from side-to-side. 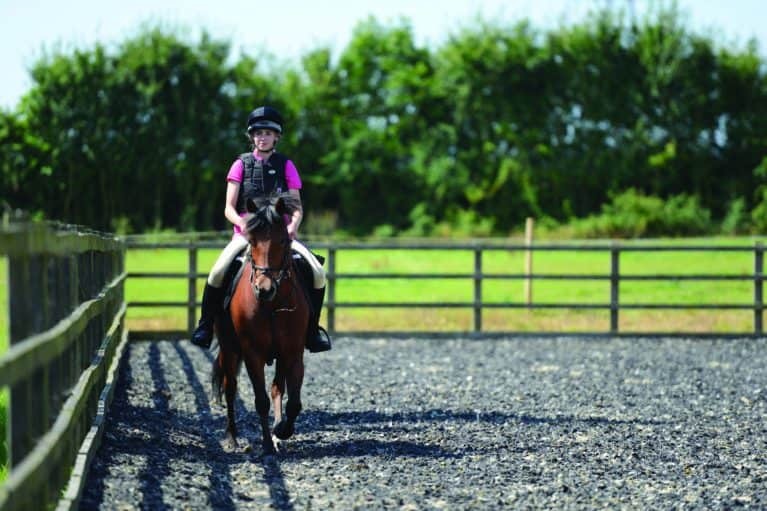 Lazy and slow-moving, he’s safe as houses to ride but getting him into canter, or even trot, can prove to be a challenge. He needs LOTS of encouragement and can usually be found at the back of the ride with an exhausted rider on board. Your natural reaction is probably to kick, and then kick some more! But he’ll quickly get bored of this and ignore your leg. Instead, try wrapping your legs around him and squeezing – it might be more subtle but it’s more effective, too! 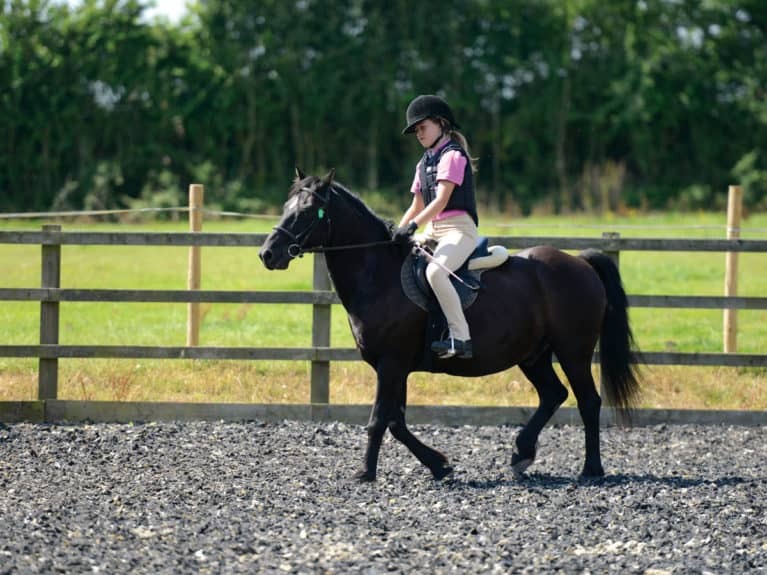 Sit tall in the saddle and be careful not to tilt forwards as this will affect your centre of gravity and unbalance you, making your aids less effective. 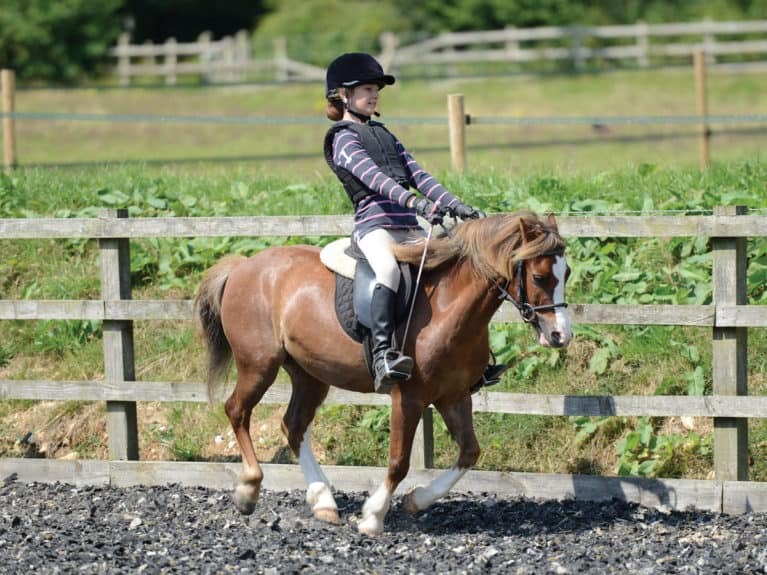 Keep your contact so you can push him forwards, which will make it easier for him to maintain impulsion. Did you know? Lazy ponies often pull themselves along without engaging their hindquarters, which is where impulsion is generated. Always looking for monsters in the hedgerow, he’s suspicious of everything and ready to take flight at any moment. He’s naturally spooky and is the first to notice anything new. He can be found snorting at a strangely shaped leaf. The key is confidence. Even if his spookiness makes you a bit tense, ride positively – it will rub off on him and let him know there’s nothing to worry about. Relax your seat and push your weight down into your heels. Sit quietly and make sure your aids are subtle and gentle so you don’t startle him. Be understanding and offer him a neck rub if he gets nervous, rather than getting cross. He’s strong-willed and knows what he wants. The problem is, it’s often not what you want! He takes hold of the bit, which means he doesn’t always listen to you. 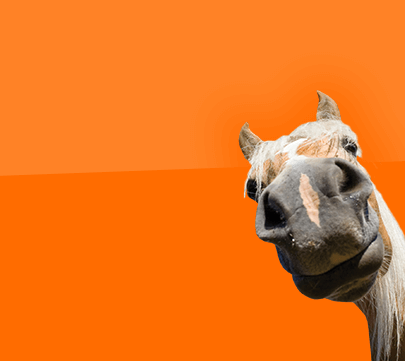 You might find him cantering across the school in the wrong direction or diving for the nearest patch of grass. Avoid an argument, instead it’s up to you to try to outwit him. Be patient and don’t lose your cool if he ignores your aids. If he’s being too strong, use half-halts or bring him back to walk for a few strides – it’s better that you go slower and in control than faster without it. Also, always think ahead – for example, if you’re riding towards the gate and know he might try to get there faster, prepare for it before it’s a problem. You’ll need to react quickly, too, otherwise he’ll act before you’ve realised what he’s up to! Top tip! Keep your arms relaxed and supple, and avoid locking your elbows as this will prevent you bracing against your pony if he gets strong. The corner cutter’s favourite trick is the oldest one in the book. He’s worked out that bypassing the corners means he doesn’t have to travel as far or put as much effort into bending, which equals less work. Clever, but seriously annoying! You can spot him a mile off – he’s the one refusing to go into the corners, often on the incorrect bend as he passes them. As they say, old habits die hard so once a pony has learnt this trick, it can be very challenging to get him to stop. The key here is to use your legs and body to direct him, rather than just your reins. As you approach a corner, push him towards the outside of the arena with your inside leg and turn your shoulders and hips slightly in the direction that you’re going. 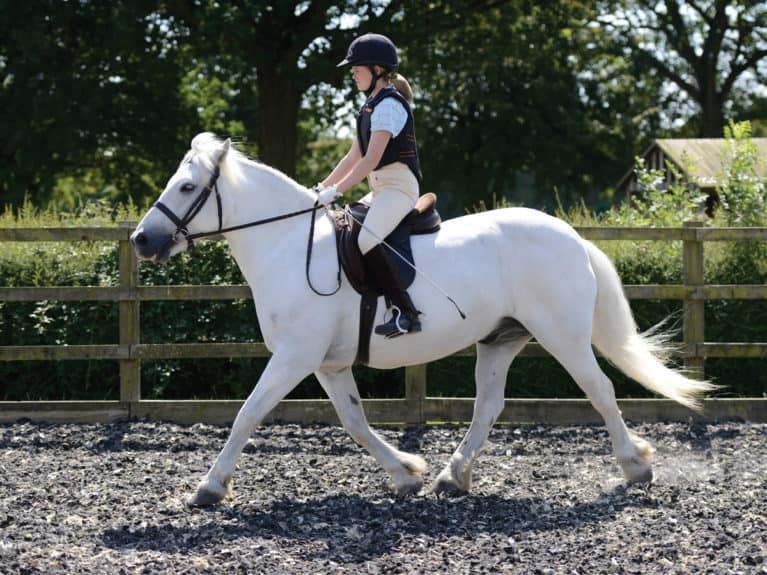 Maintain contact with your outside rein and slightly open your inside rein to encourage him to bend around the corner. The total pro is the one everyone wants to ride! He’s a schoolmaster who loves his job and never tries anything naughty. He can be found behaving himself at any position in the ride with a content rider on board. Just because he’s a pro, it doesn’t mean that you should put less effort into riding him than the other ponies. 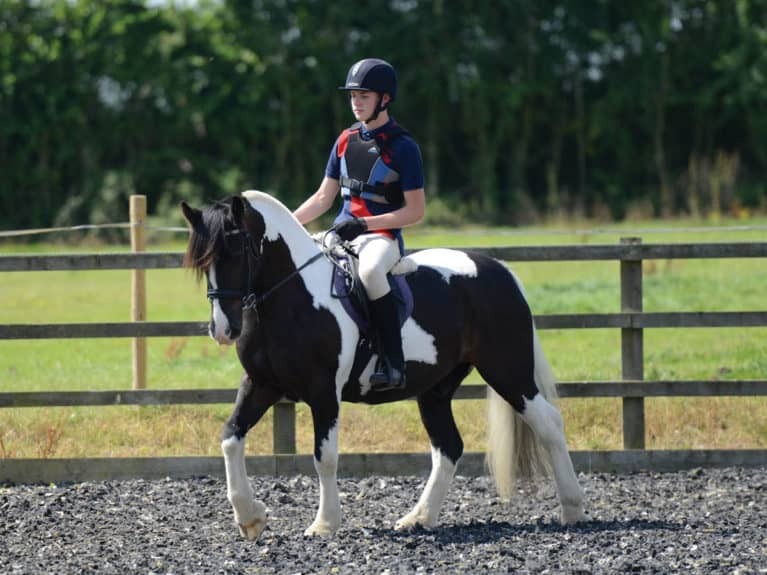 Take advantage of the fact he’s well-behaved by practising perfecting your position and focusing on riding the best you can – it’ll really show off your riding skills! Whatever school pony you ride, remember that he’s teaching you something different, which can only be a good thing. Don’t forget to give him a big pat and a thank you at the end of each lesson.